The meeting was held in the new office of our member Cowhouse International. 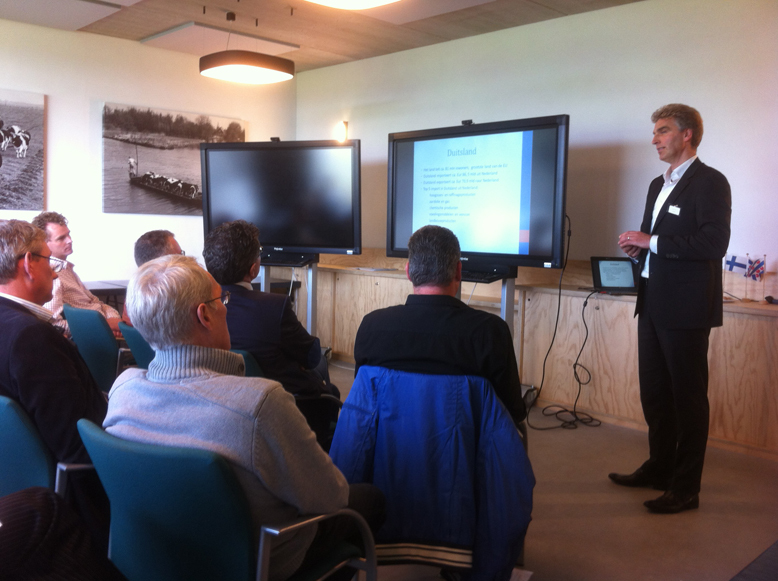 After a welcome by mr. Rinse Andringa, owner of Cowhouse international and Robert Liet, board member of the Dutch Dairy Centre 2 presentations were held by mr. Jan Dirk van Mourik (Lely bv.) and mr. Tabe Bruinsma of Cowhouse International. There presentations about there experiences in Germany were very useful for the other members. The formal part of the meeting was followed up by a networking reception. over 30 members were represented at this meeting.